Government says it owes waste collectors and operators of landfill sites across the country about 800 million cedis, a situation that is crippling waste management efforts. Managers of landfill site claim the financial crisis they are currently battling with has made waste management difficult task for them. 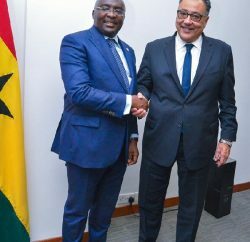 But the minister of Sanitation and Water Resources, Joseph Kofi Adda, who announced government’s indebtedness in Kumasi Monday, assured that efforts were being made to settle a significant part of the debt by the end of the year. “We owe waste collectors and landfill site operators about 800 million cedis. We cannot pay everything upfront but have structured a payment plan to ensure that we clear part of the debt by the end of this year,” Mr. Adda assured. 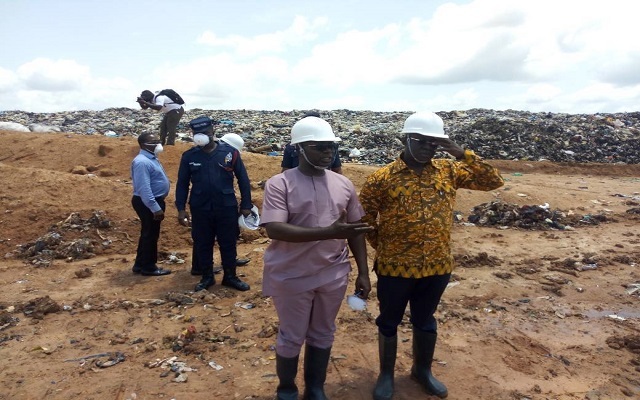 Speaking to TV3 after touring the Oti landfill site in Kumasi to monitor how solid and liquid waste is being managed, he observed the sanitation sector has been ignored for far too long but said the current government has prioritized sanitation on its agenda. He highlighting government’s plan to improve sanitation management in Ghana, stating “landfill concept will soon be a thing of the past because government intends converting the waste on the landfill site into energy and other useful products”. He has meanwhile advised the public not to build close to landfill sites. “People should abide by building code. We should not build close to a landfill site because of the risk of contracting sanitation-related diseases like cholera. In the interim, we are building new cells for dislodgment of feacal matter to save the situation”. Mr. Adda also announced the deployment of ICT for improved waste disposal, including the embedding of chips on waste containers to track their movement. “We want to be able to effectively monitor how sanitation is being handled by waste collectors and landfill operators to improve on it, therefore, a chip will be embedded on every waste container to track its movement,” the minister said. Meanwhile, it emerged during the tour that the disposal of untreated feacal matter in an open drain has become a source of health concern for residents of Oti in Kumasi. A pungent smell has engulfed the community as over 100 trucks carrying feacal matter dislodge into an open drain which flows into the Oda River. The residents of Oti Kuwait want the metropolitan assembly to halt the practice and find a more hygienic way of disposing the feacal matter. In a related development, the Kumasi Metropolitan Assembly has launched a sanitation project where branded tricycles, locally referred to as ‘Aboboyaa’, for waste collection. The move aims to register all waste collection tricycles within the metropolis and make their identification and regulation easier. Mayor of Kumasi, Osei Assibey Antwi said the assembly has put in place measures to improve sanitation and sanitize the system. “We have done colouring and numbering for tricycles that can be used for waste collection to prevent owners from using the same tricycle to carry foodstuff. Also, the operators have also been educated on the need to properly cover the waste whilst transporting it to the landfill site. We want to regulate the activities of the waste collectors to improve sanitation management in the metropolis”. The assembly, according to the mayor, intends to bring back the once garden city by keeping the environment clean and greening it.